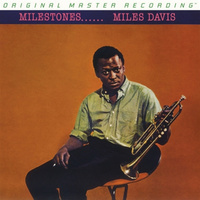 Miles Davis' A Tribute to Jack Johnson is the best jazz-record ever made. Equally inspired by the leader's desire to assemble the "greatest rock and roll band you have ever heard" as well as his adoration of Johnson, Davis created a hard-hitting set that spills over with excitement, intensity, majesty, and power. Bridging the electric fusion he'd pursued on earlier efforts with a funkier, dirtier rhythmic approach, Davis zeroes in on concepts of spontaneity, freedom, and identity seldom achieved in the studio. 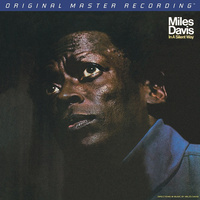 Mobile Fidelity's sterling reissue brings it all to fore with unsurpassed realism. Indeed, utilizing wah-wah and distortion, guitarist John McLaughlin comes on here with a nasty edge, slashing style, and vicious streak that allows A Tribute to Jack Johnson finally cross the divide between rock and jazz. Davis puts both feet in the former camp and permanently erasing any gap. In addition to highlighting McLaughlin's ripping performances, Mobile Fidelity's 180g LP showcases the headliner's white-hot trumpet solos like never before. Bristling with exuberance, Davis' high-register passages explode with authority and commanding presence. Around him, a barrage of urgent backbeats, knifing riffs, and three-dimensional bass lines emerge amidst an ink-black background. A Tribute to Jack Johnson is a monster album. Experience it the way Davis would've wanted you to hear it.